The League of Ireland needs a lot of work and a lot of luck if it wants to get up to the level of some of the other leagues in countries of similar stature to Ireland. There are a couple of little tweaks that need to be made and one big stroke of luck that they might get soon. The first big change needs to be at ground level. There are too many of the top clubs in the League of Ireland that are so uncompetitive that players will stay with local clubs until they are ready to go and play u19 in the League of Ireland. The top league is where the people deemed the best coaches and managers in the country are, so we need to start getting players in under their coaching and management as early as possible to get the very best out of them. The FAI needs to re-evaluate the league completely. The prize money compared to the salary of the Chief Executive of the FAI is an absolute disgrace. With the amount of teams that are struggling in Irish football due to poor income, the FAI rightly made the decision to award the 20 teams in the two divisions a sum of money each. That sum was €5k, which totalled €100k of money from the FAI to help clubs survive through the winter and to set up a strategic five year plan. CEO John Delaney earns an annual salary of €360k. No more needs to be said on that. Another big change needs to come within the media. There is a core within the Irish media who will cover the League of Ireland but it’s largely one national paper who does a lot of it and it’s all on the Dublin clubs. There needs to be more done outside of the capital and particularly in regional papers to get people in that area reading about the players, reading about the results and getting interested. Who knows? They may even make an appearance at a game by the end of the year. Luck becomes a big factor too in situations like the one the League of Ireland is in. 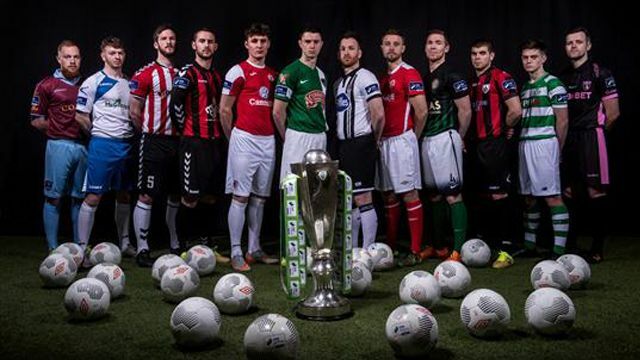 I said above that the big stroke of luck might come soon and here is why I think it’s a good time for the League of Ireland to get themselves as much into the limelight as possible. Ireland are coming off the crest of a wave as far as football is concerned after having a decent European Championships. The country went football mad for a few weeks and some people are still holding an interest because they still want to know what Robbie Brady or Shane Long are doing. The interest hasn’t been as strong since 2002 and it’s time to take advantage. One team in particular are really helping out in that aspect by pushing boundaries. Dundalk United played two games against Legia Warsaw and were extremely close to advancing into the group stages of the Champion’s League, Europe’s premier club competition. This should be a point of focus for Dundalk and other League of Ireland clubs for years to come as the opportunity to face European giants such as Real Madrid or Bayern Munich would surely be enough to boost the league to the next level. Publicity surrounding these type of games might be enough to get some people paying more attention to their own native sportsmen, outside of that the issue truly lies within the administration of the league.